Great value starter kit gift pack of 4 products to regulate moisture balance and refine pores of combination skin. Everything you need to get started with the Nourish Balance range for combination skin, in substantial trial sizes that contain plenty for a holiday or to give the range a thorough try before you commit to the full sizes. These high performance formulations use a superior blend of organic ingredients and essential oils including apple and argan to deliver excellent results. A gentle cream cleanser to remove make-up and daily pollutants without over stimulating the skin. 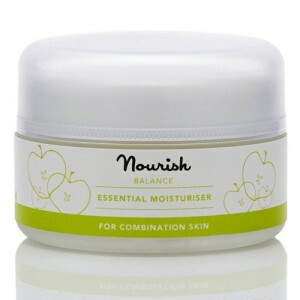 Nourish Balance Essential Moisturiser is fortified with vitamins and minerals to maintain equilibrium in oily and combination skin, restoring moisture balance and controlling sebum to revitalise the skin's natural barrier. With a natural scent of crisp apple. Aqua (water), Pyrus malus fruit powder*, Pyrus malus fruit water, Glycerin**, Sodium Levulinate, Levulinic acid, Potassium sorbate, Cetearyl glucoside, Niacinamide, Calcium pantothenate, Sodium ascorbyl acetate, Tocopheryl acetate pyridoxine HCL, Maltodextrin, Sodium starch octenylsuccinate, Silica. *Certified organic. ** Organic origin. Aqua (water), Pyrus malus (apple) fruit powder*, Pyrus malus (apple) fruit water, Glycerin**, Palmitoyl tripeptide-5, Niacinamide, Calcium panthothenate, Sodium ascorbyl acetate, Tocopheryl acetate, Pyridoxine HCL, Maltodextrin, Sodium starch octenylsuccinate, Silica, Coco glucoside, Xanthan gum, Sodium levulinate, Levulinic acid, Potassium sorbate, Sodium hyaluronate, Parfum (apple aroma), Simmondsia chinensis (jojoba) seed oil*. 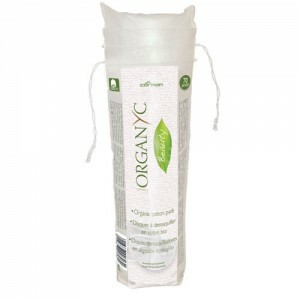 *Certifed organic **Organic origin.